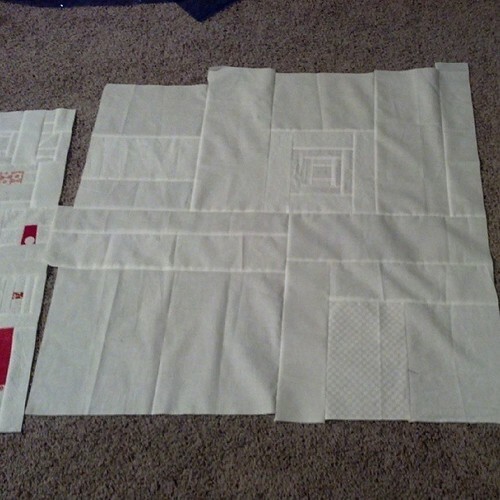 Seattle MQG's next quilt exhibit at Island Quilter is coming up and our challenge this time for quilts was 2-color quilts, aka the Binary Challenge. 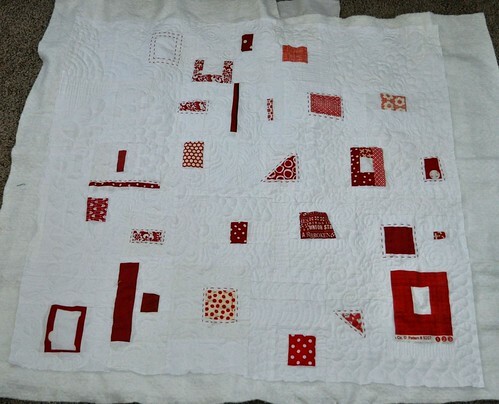 I had red and white on my mind and decided to make my quilt with scraps. My scraps are all stored in those large ziploc bags (why do we call them gallon size? because they are not) and my white bag was completely full. 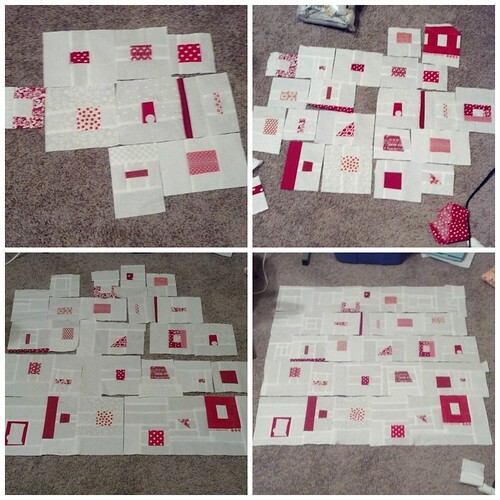 I don't have a ton of reds but I went through my red scraps and found the fabrics that were only red and white, with no other colors. 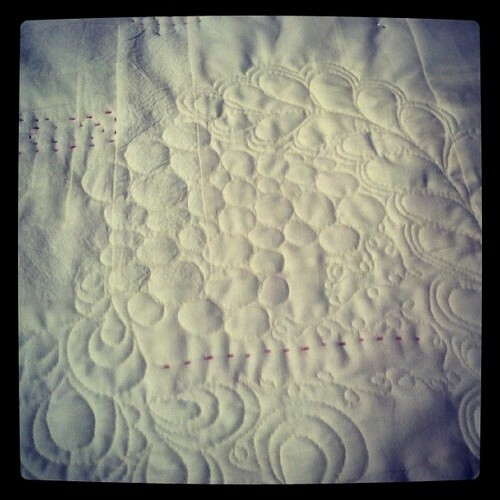 And then last week I quilted it. 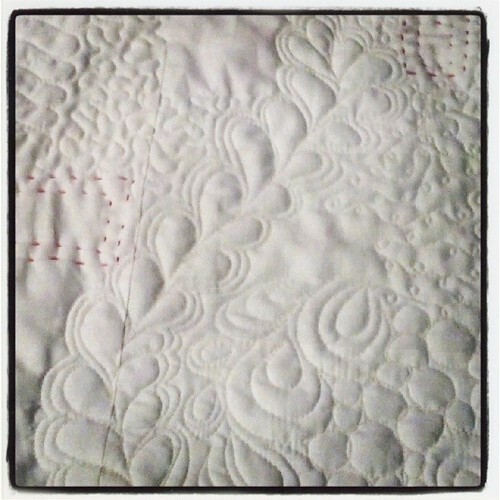 I did some hand quilting with red embroidery floss, and then machine quilted. It still needs binding and a little more red hand quilting, but I'm happy with it so far! We had a busy week or so of Halloween celebrations including a school party, preschool wear-your-costume-to-school day, church party, and the actual day of trick-or-treating. It was fun but I'm glad it's over. 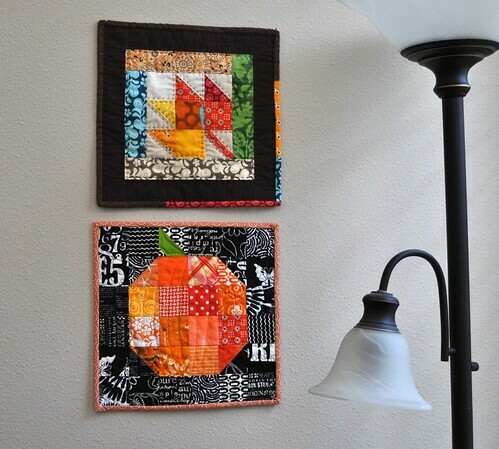 I quilted my pumpkin mini-quilt at a Seattle MQG sew-in and got it bound and on my wall a couple weeks ago. I made the leaf quilt in either 2010 or 2009. It has been fun to see all the modern maples quilts on instagram and blogs the last couple weeks. My maple is a little different, and smaller, but I love the big block and autumn colors people have been using in their modern maple quilts. I've been cross stitching but it is slow going. 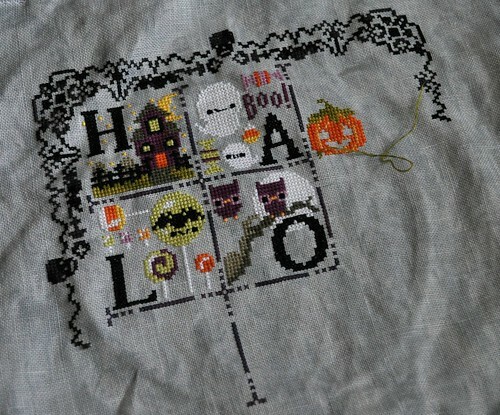 I got about half way done with my Halloween sampler and decided to take a break from it and work on my Woodland Sampler again. I took a photo of my Woodland Sampler but the fabric weave made the photo all crazy so I'll try again soon so I can show that off here. The Frosted Pumpkin has some cute Christmas patterns coming out soon, but I want to finish up the two samplers I have started before I start something else. 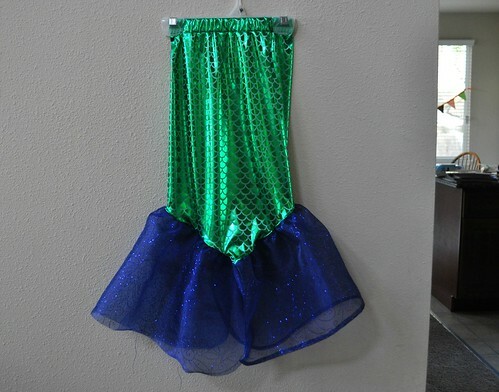 And I made a mermaid costume. 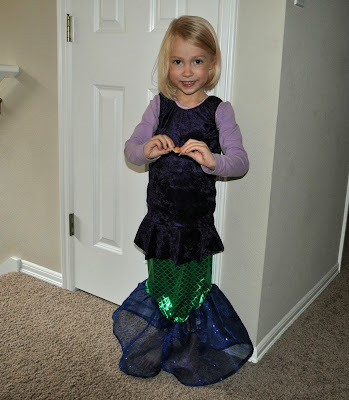 I made the mermaid skirt based on this tutorial, with a couple small changes. She had pink hair and wore a cute wreath/crown thing in her hair along with her costume for the church party. Her hair is still a bit pink; that stuff takes a while to wash out. 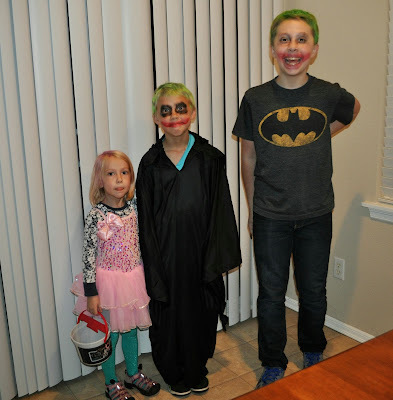 Here's what all three kids wore out trick-or-treating on Halloween. We had a joker thing going on with the boys, and my girl decided to wear a princess costume (I think that's what she called it) instead of the mermaid which she had already worn twice by then. The candy is mostly gone! and things are pretty good. The girl had a 12 hour tummy bug but she's feeling a lot better. 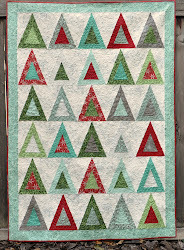 I'm working on a couple quilts and ordered the template so I can make my Double Wedding Ring Challenge quilt.